Looking for private in-home or in-studio Music Theory lessons? Our Waddell teachers are ready to get you started. Find your teacher today! Have you tried learning an instrument but you just cant seem to understand how music works so you have struggled more than you want to with your instrument? 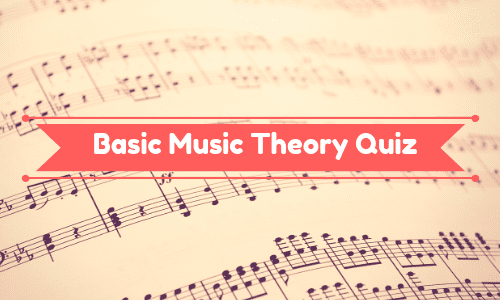 Learning music theory helps you to understand a better way to memorize pieces, scales, and how the fundamentals of music operates. I teach this to all my piano students as well as singers who want to learn to read music. Hi, there! I've been teaching private lessons since 2010 and have loved helping my students learn how to read music, perform in groups at a higher level, and compose their own music. I have a teaching style that is engaging, fun, and effective. I look forward to helping you reach your goals! Understand music! That is music theory! What do all of those symbols, notes and words on the musical page mean? Does understanding those things make performing easier? Yes! To have a grasp of knowledge of how music works and the tools needed to understand music. Thorough and useful grounding. Application to pieces and performance including music history, especially as pertains to performance of pieces. Experienced teacher of 11 years available for eager students of all experience levels and ages! I structure my lessons so students learn what they want to learn, while also building a strong foundation . I specialize in classical , pop as well as music theory. I'll start by saying that music theory is a language that helps you play more effectively with ensembles and writing music of your own. Its very important that u learn your theory to become a great music performer and song writer. I will start with the basics of music and we will go on to learn more complex material so you will be on your way to musical freedom. "Devin is so personable and easy-going! He was prepared for our lessons and helped me better understand the material. He's the best!" d kind and genuine all around good guy. I enjoy working with him."